It’s expensive to travel, and then it’s even more expensive to travel with kids — no matter the time and place. 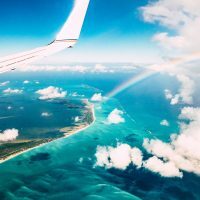 Some destinations, however, are more affordable than others, with reasonably priced attractions and accommodations (and discounts available at both). Many places don’t necessitate a lengthy getaway either, and can easily be experienced in a long weekend. These cheap vacation ideas for families provide economical options, along with a means to spend quality time together (and you can”t put a price on that). 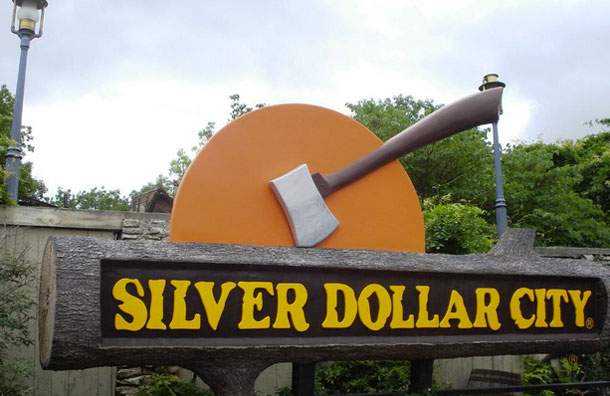 Branson offers four theme parks, including popular Silver Dollar City, where families can save with daily discounts and offers. For example, if you enter the park after 3 p.m. with paid admission, you"ll enjoy free entrance to the park the following day. Branson is also well known for a wealth of shows, most of which cater to families. While ticket prices vary, you can get a deal at Branson 2 for 1 Tickets. In Branson, you"ll find mega resorts, such as Big Cedar Lodge, but you"ll also find affordable names like Comfort Inn and BEST WESTERN, both of which offer free breakfast and Wi-Fi for added savings. 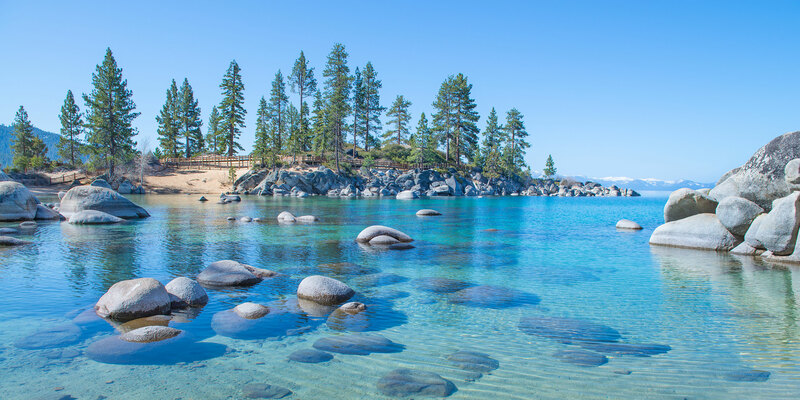 Another cheap vacation idea for families, Lake Tahoe is the town and the attraction, with lovely stretches of sand to line the lake"s teal-blue waters. The beaches are free or inexpensive to access (parking included), and some of them, such as Kings Beach State Recreation Area, provide free entertainment on select evenings. There"s no cost to explore the area"s mountains either, where you"ll find state parks, historic sites and even a castle in the woods (the latter, called Vikingsholm, offers tours for a fee). Perhaps the most popular area for vacationers, South Lake Tahoe is known for high-rise casino resorts. 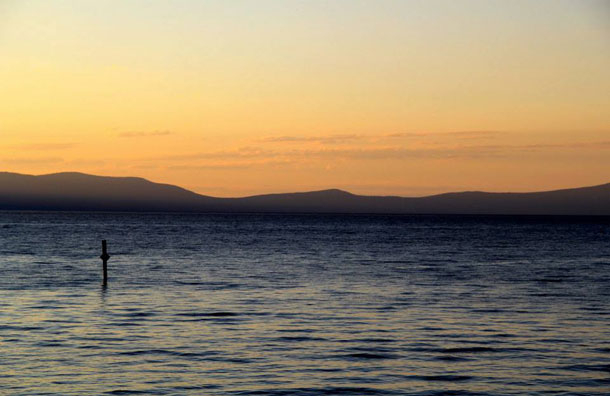 Families should choose a vacation rental or motel instead; many are situated within easy walking distance of the lake. In Las Vegas, it"s easy to splurge at casinos, fancy restaurants and high-end retail stores. It"s also easy to save, especially for families. 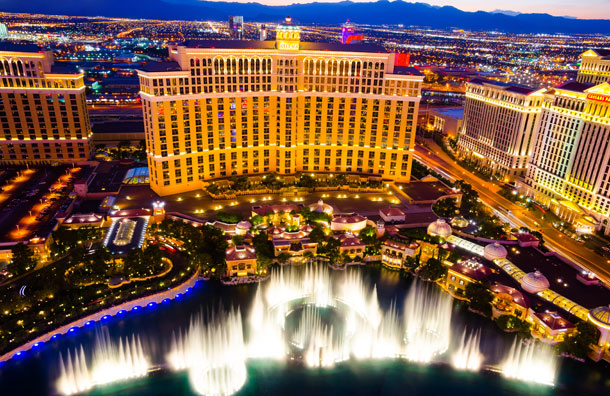 Some of the city"s most popular attractions, such as the Bellagio Fountains, Ethel M. Chocolate Factory and the Silverton Aquarium, are free of charge. 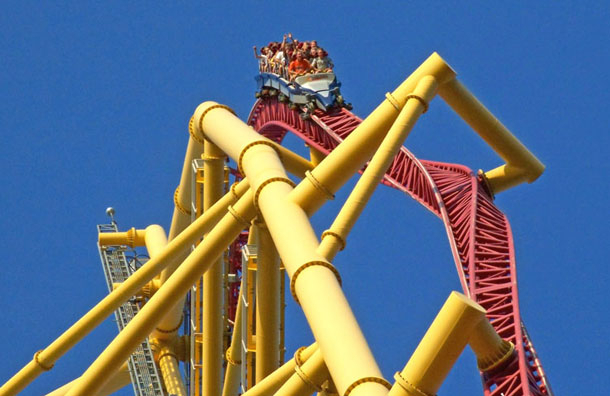 Many of the city"s famed thrill rides are reasonably priced, too, with rates listed at $15 per visit (just limit the kids to one ride each). At nearby Red Rock Canyon National Conservation Area, $20 will get you a scenic drive or hike. Hotels in Las Vegas offer a diverse set of nightly rates -- you can stay at the Four Seasons for a couple hundred a night, or park the family at Circus Circus (the site of Adventuredome) for under $75 (or less) per night. 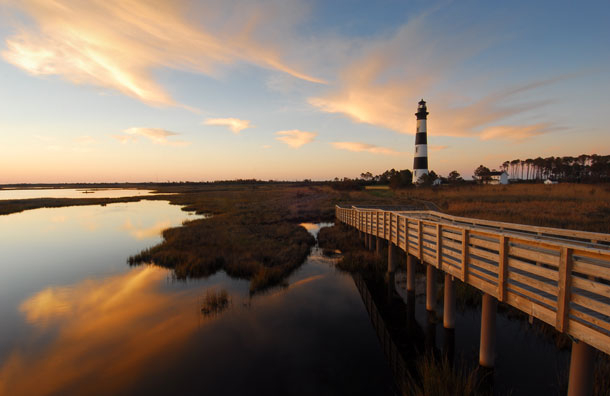 You won"t find major resorts and conventional attractions in the Outer Banks, a chain of barrier islands in North Carolina; that"s the reason so many vacationers choose to escape there. It"s fun to simply drive along Highway 158 (the main drag) and make stops at Cape Hatteras Lighthouse ($8 for adults, $4 for kids) and Carova Beach (free), where wild horses roam the shores. It"s also fun to catch a show at The Lost Colony, where kids under age 5 get in free. Of course, a vacation in the Outer Banks isn"t complete without a visit to the famed Wright Brothers National Memorial, which is just $4 for adults and free for kids (ages 15 and under) to access. The area attracts families with a wealth of vacation home rentals, which, when split between several people, are extremely affordable. While rentals are the most popular option for accommodations, you"ll still find several hotels and motels throughout the area. In the Poconos, you can spend as much or as little as you want. It"s easy to empty your wallet at Camelback Resort -- home to Camelback Lodge and Indoor Waterpark, as well as Camelbeach and Camelback Mountain. 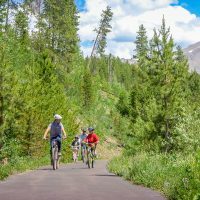 It"s also easy to save money with a visit to one of the area"s state parks and campsites -- a highlight for both locals and visitors. 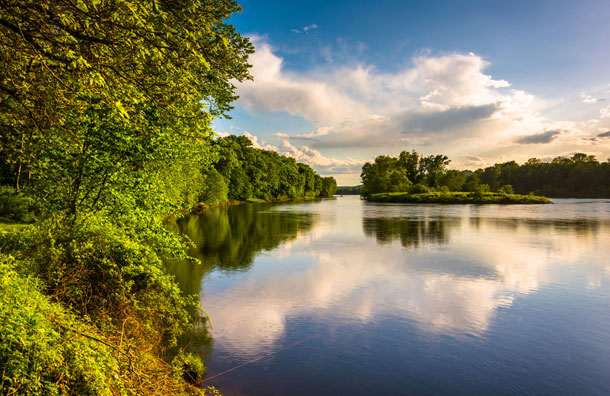 Consider Hickory Run State Park and Delaware Water Gap National Recreation Area -- it"s free to hike or float down the river in an inner tube (just bring your own). You can also explore the "Grand Canyon of Pennsylvania," where the views are free of charge. Combine all the fun with a stay at one of the area"s all-inclusive resorts, such as Skytop Lodge or Woodloch Pines, or save with a stay at a chain hotel or motel. 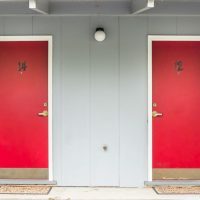 Myrtle Beach is lined with everything from vacation rental homes to big resorts, but some of the best lodgings are actually the cheapest in terms of rates. Plus, many hotels offer onsite water parks, free of charge to resort guests. When it"s time to leave the hotel, you"ll find good, old-fashioned fun at the Myrtle Beach Boardwalk & Promenade. 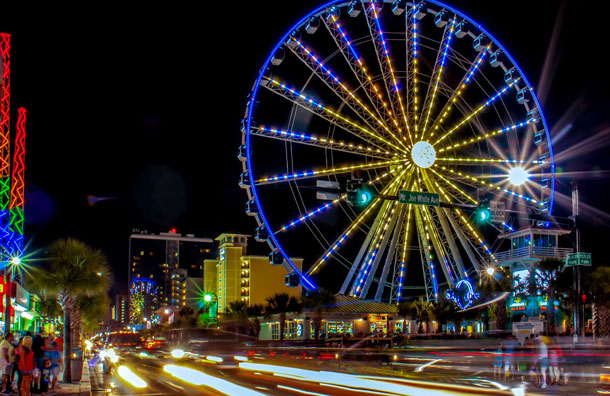 The kids will beg to ride the Myrtle Beach SkyWheel and visit Family Kingdom Water Park, and lucky for parents, both attractions are affordable. Family Kingdom offers the option to purchase individual rides or all-day passes for $26.95 (plus tax). 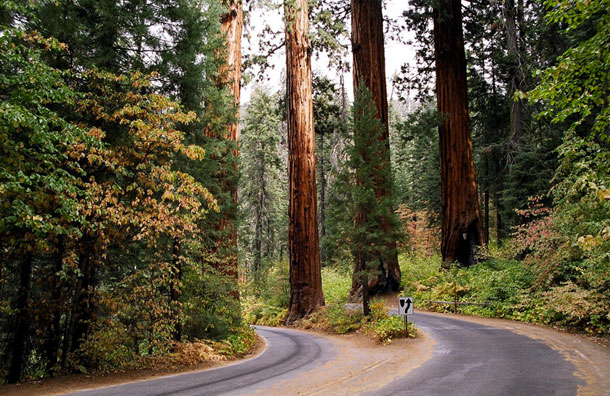 Sequoia and Kings Canyon National Parks, Calif.
National parks are the perfect cheap vacation idea for families. 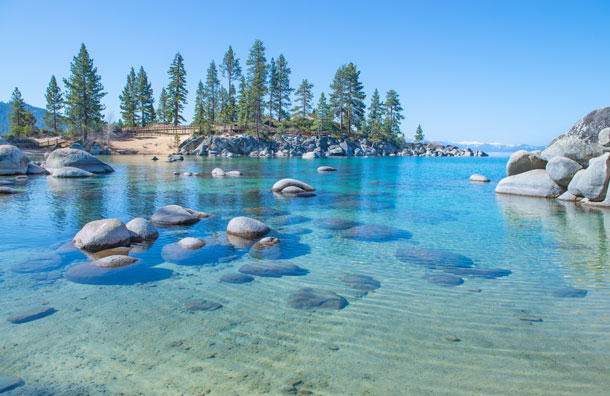 And not only can you visit two national parks (in a short amount of time) when you visit Sequoia and Kings Canyon, but you can also save money. Entrance to both parks is just $20, and it goes a long way. Families have opportunities to see the world"s largest tree (by volume), along with stunning vistas and nighttime skies you won"t find anywhere else. Most people camp in the parks -- another significant savings -- though onsite lodgings, such as Wuksachi Lodge and John Muir Lodge, provide affordable nightly rates, too. In the self-proclaimed Ã¢â‚¬Å“Water Park Capital of the World,Ã¢â‚¬Â the attractions are the hotels; once you"ve paid for a hotel, you"ve essentially paid for your vacation. 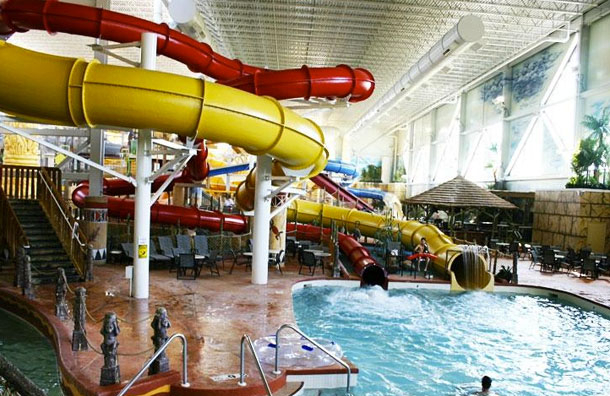 Popular resorts include Great Wolf Lodge, Kalahari Resort, Wilderness Resort and Chula Vista Resort, all of which offer indoor and outdoor water parks (included in nightly rates), along with other perks, such as apartment-style accommodations, spas, kid-friendly shows, mini-golf courses and onsite restaurants. Plus, all of them continually offer package deals and discounts. When it"s time for a break, head to Wisconsin Deer Park or Wilderness Territory. 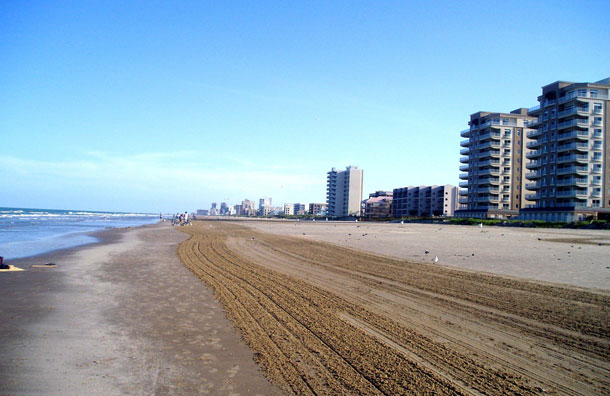 Beach is the word on South Padre Island, where the focus is on the sand and surf and little else -- a true vacation destination and cheap vacation idea for families. Most families relax by the water, where they have opportunities to kayak, paddleboard, windsurf and kiteboard. Most families also opt to stay in vacation home rentals, as there aren"t many major resorts on the island. Schlitterbahn South Padre Island is another major draw for the area, with indoor and outdoor water parks and onsite accommodations. The attraction allows guests to bring in packed lunches, and offers discounted afternoon admission. Who says a theme park vacation has to be expensive? In Sandusky, Ohio, families can find inexpensive accommodations right at Cedar Point, including the recently revamped Hotel Breakers. Plus, all onsite hotels offer guests discounted tickets (up to 37 percent off regular rates), along with early admission to the park. The hotels also offer payment programs to ease the process. Sandusky could be a distant cousin to Wisconsin Dells, too; the area offers several water parks and water park hotels. Castaway Bay at Cedar Point offers a water park and low nightly rates, while other staples include Great Wolf Lodge and Kalahari Resort (the latter of which provides day passes).